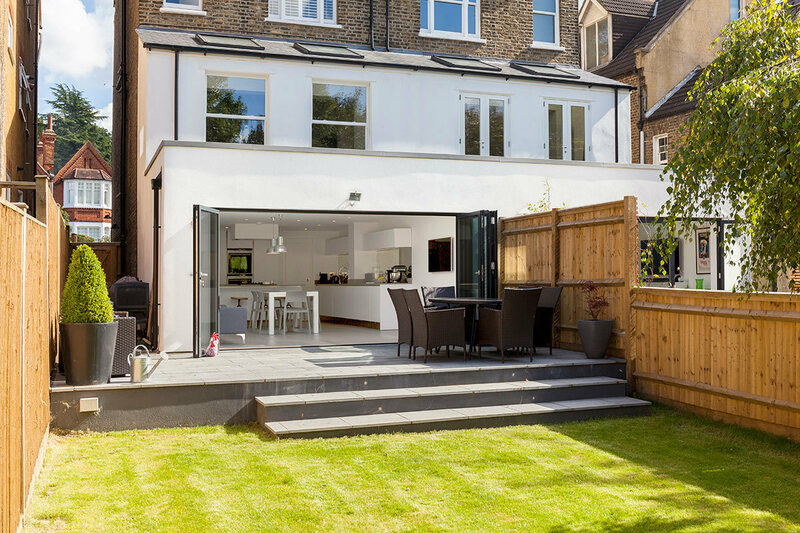 As a joint venture between two households, this two-storey extension is a testament to what good neighbourly relations can achieve. 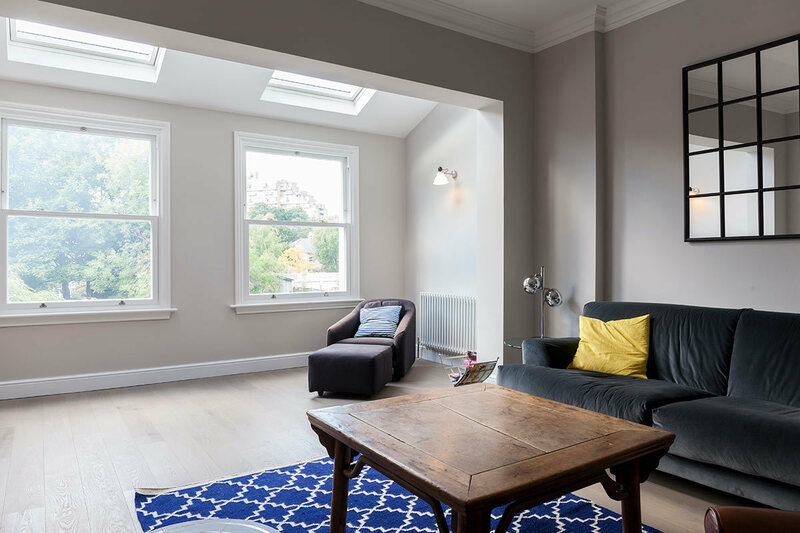 Both families wanted to transform their homes into open plan living, both on the ground floor and in the first floor living area. With such matching tastes, this project certainly wasn’t double the trouble. Many neighbours opt for a joint venture project, as it allows them to get a more cost effective build when it comes to construction. Not only that, but because both projects get designed by the same practise, planning becomes a lot easier. You don’t have to worry about a party wall, when both parties are on board! 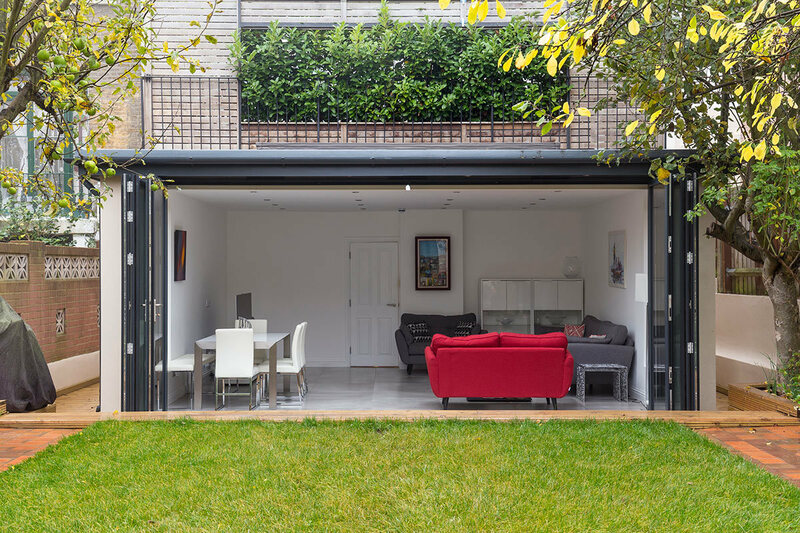 Both homes benefit from a step design, separating out the patio from the garden. This was also designed with practicality in mind too. With neighbours on either side, this minimised the risk of impacting others’ right to light, caused by overshadowing. Another planning win, in our books. 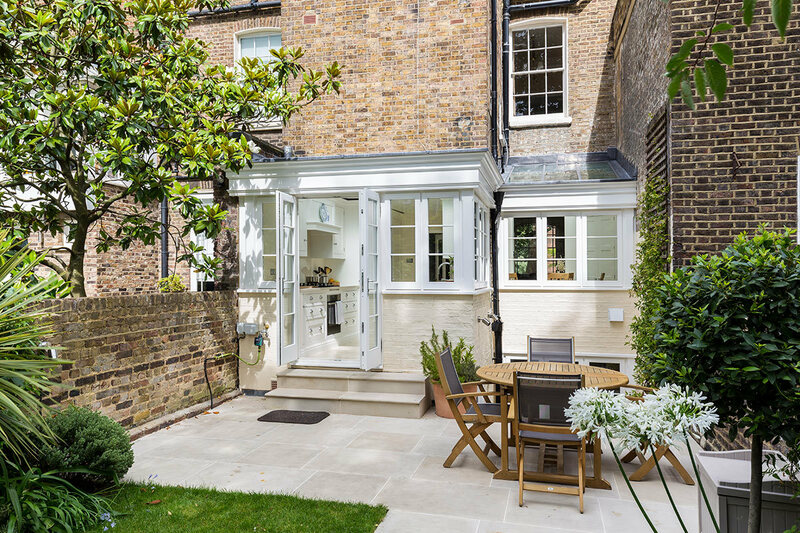 To bring connectivity from the house into their gorgeous gardens, we designed in large bi-fold doors. 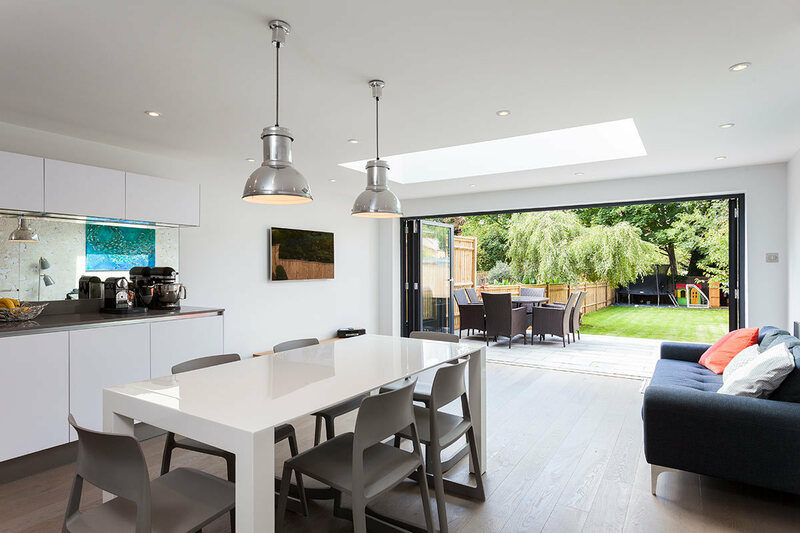 The patio and kitchen floor blending into one, allowing both households to move effortlessly from the inside, into the out. 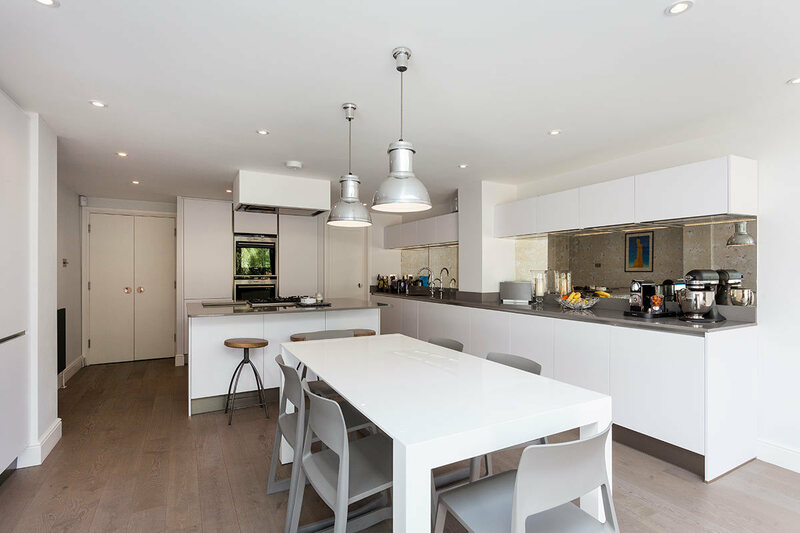 Within both kitchens, we created a spacious, minimalist design - complete with kitchen islands. 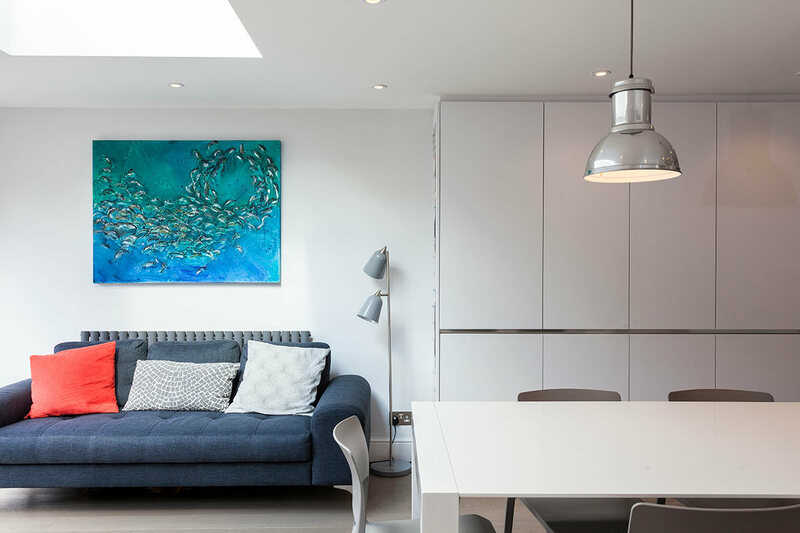 The white walls and clean lines make these spaces feel open, thanks to the reams of natural light pouring in from the glazing. 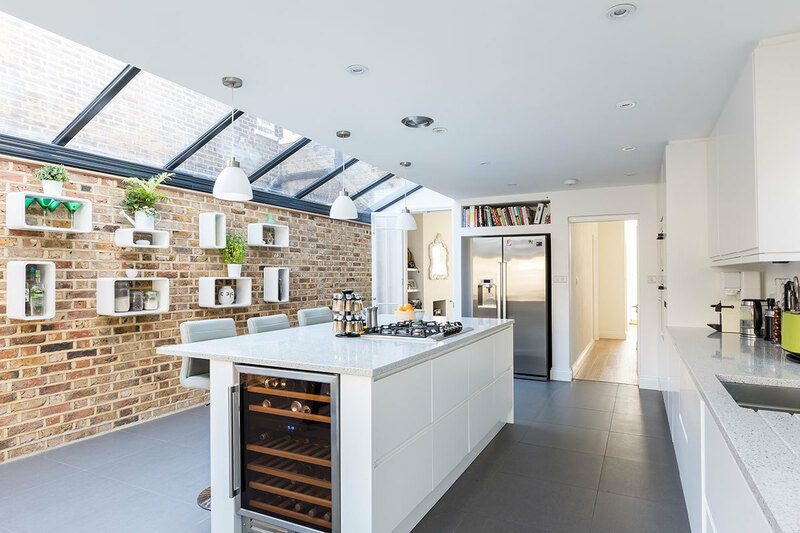 To make sure the kitchen spaces didn’t suffer in those darker months, we also included several other light solutions, such as scattered LEDs, and lighting in the fittings. This classic design we carried on through to the upper floor, where we installed large skylights for a similar effect. We topped that off with a set of large French doors, and designed a balcony area for both properties to enjoy. While both homes remain unique, thanks to the taste of their owners, what both projects show is that classic design can work for anyone.